There are never enough toys for kids to play, every year they become more interesting and sophisticated. In the world of digital devices, when our little one is more interested in computer games we are excited to find toys that makes children think, play, build something and ignite their creativity. Antsy Pants give endless hours of play when children can build, create and imagine. Teddy likes playing with Antsy Pants sets. For us they are two parts of the play. First one when we assemble something using Antsy Pants Snap-and-Click poles and connectors. 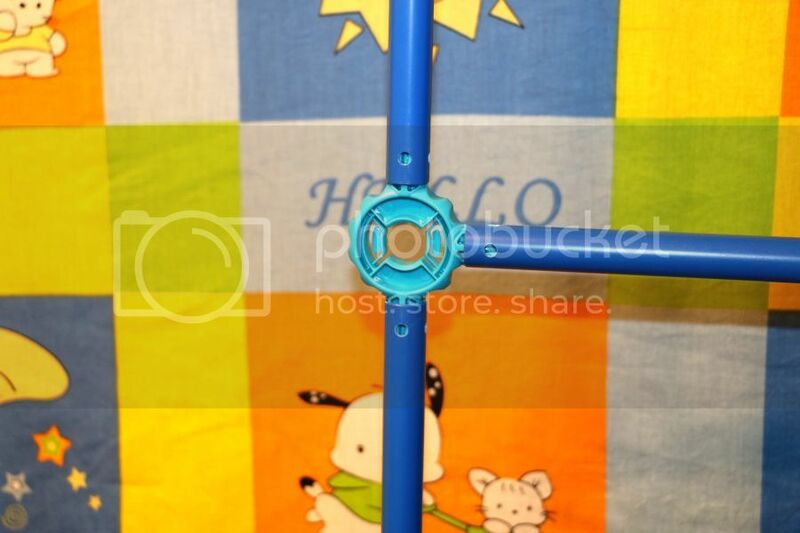 It is actually very easy to connect poles together; Teddy did not have any difficulties with them. Poles come in different sizes and colors, so it gives opportunities to build something special starting with just few poles. 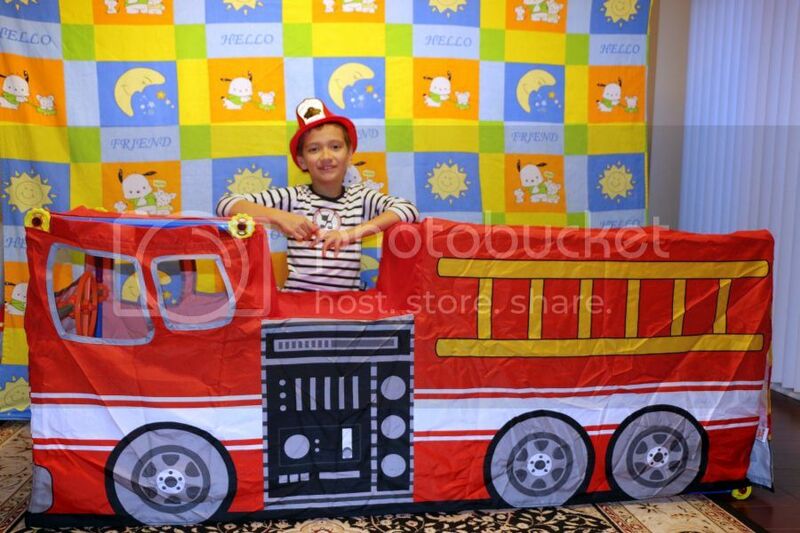 We tried two sets; first one is Fire Truck Vehicle Kit. It includes poles, connectors and a firetruck cover. Following the detailed instructions from the booklet Teddy put connectors together, so we got kind of “skeleton” of the truck. 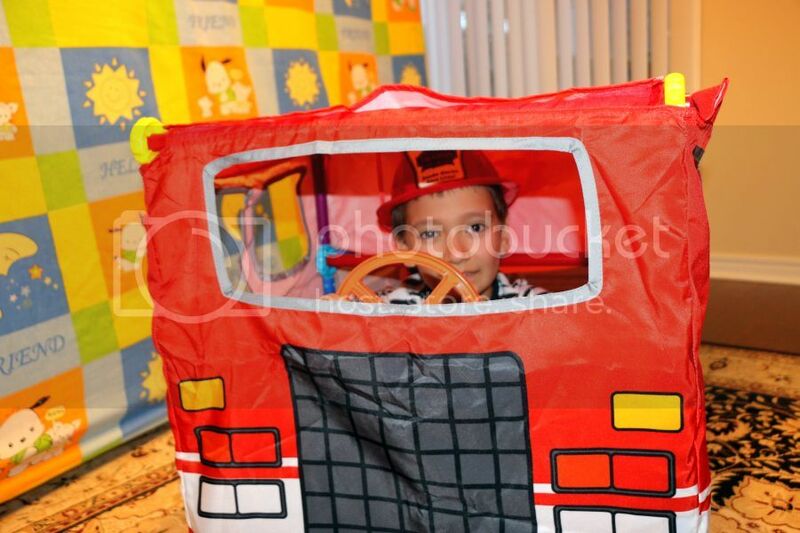 Then we put the cover on and got amazing firetruck with cut-out windows, rollup doors and roll back roof. This set also includes a steering wheel to attach. And the truck is ready to serve and bring hours of imaginative play. 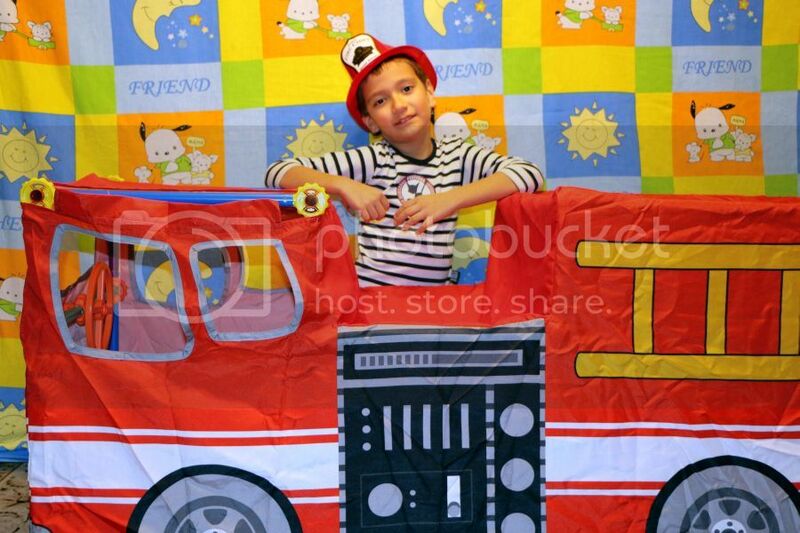 Such a wonderful way for children to pretend they are firefighters and hurry to save people’s lives. The second set Teddy likes to play is Farmer's Market set. This set comes without poles and connectors and it includes Farmer's Market Cover with fabric awning, counter top, write and erase sign and striped pole sleeves. 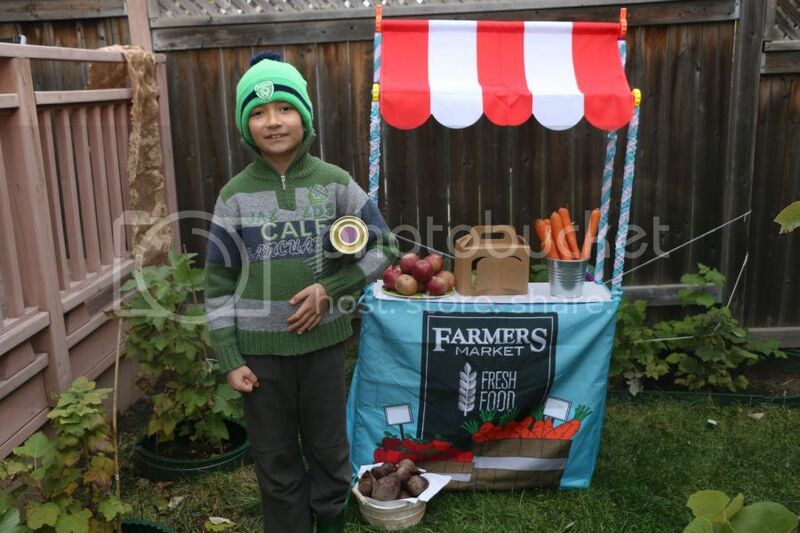 To make Farmer's Market stand you need to have one of Antsy Pants Build & Play Kits to build the frame of the stand. Since we already had another Antsy Pants kit, Teddy easily made Farmer's Market stand. It is definitely fun time playing with Antsy Pants sets, they are lightweight and kids can play indoor and outdoor. Teddy can easily move Farmer's Market stand or Firefighter Truck from one room to another to play or take them to our backyard. 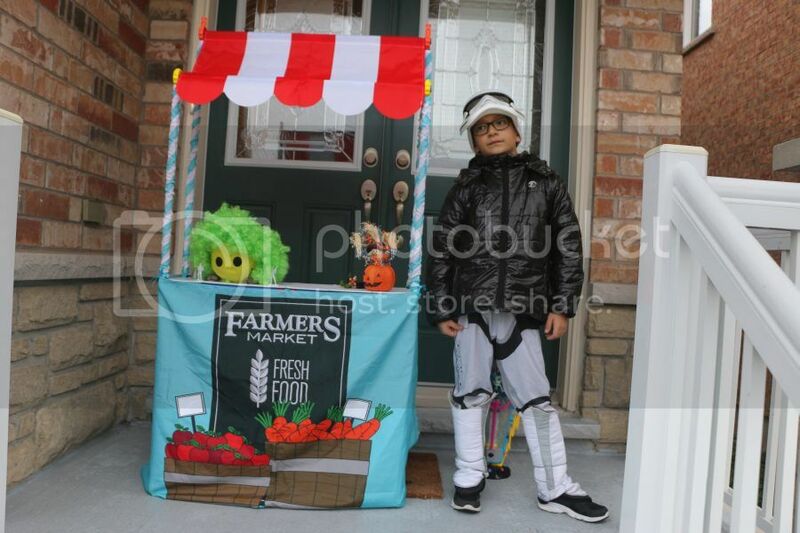 He used Farmer's Market stand as Trick-Or-Treat station, plays fun games during weekends. Antsy Pants kits give opportunities to kids to build structures they want, and not limited to the creations provided in the official booklet. 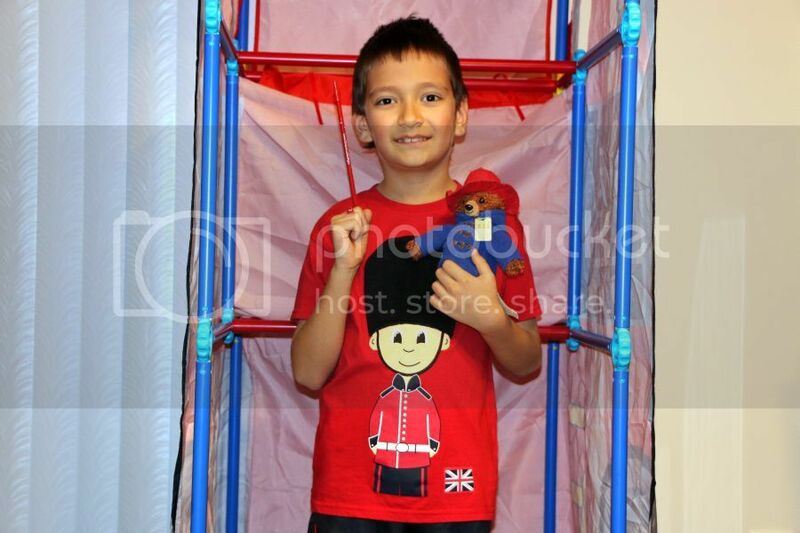 For example, Teddy likes playing a traveller and using Antsy Pants sets he built Sentry post and London’s telephone booth for his games inspired by his visit to England and Paddington movie. You can find Antsy Pants Build and Play Kits and Covers made for hours of limitless fun at Indigo stores across Canada. This fall, Indigo also features the latest Active Play line from Antsy Pants that is perfect for those soon-to-be little athletes! Lots of great imagination fun going on here! !